Many people visit The Melita at Christmas, or in the heat of summer, and with good reason. There is just something truly special about strolling the streets as the snow falls on Christmas, or as the sun sets over the Thames on a warm night. But London is a thriving, beautiful city at other times of the year, too, and a visit during what many consider the off-season shouldn’t be overlooked. London in Autumn can be particularly enchanting with the changing leaves, sweater-appropriate weather, cosy cafes and bountiful bookstores around every corner. 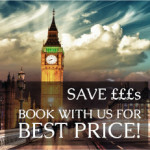 Even if you already live in London, a holiday at The Melita can be a fabulous way to relax, unwind, and feel cared for over a weekend holiday. Free breakfast gets you prepared for your day, while your room is your home base for whatever manner of adventure you’d like to have, be it just curling up with a good book or attending a local art show. 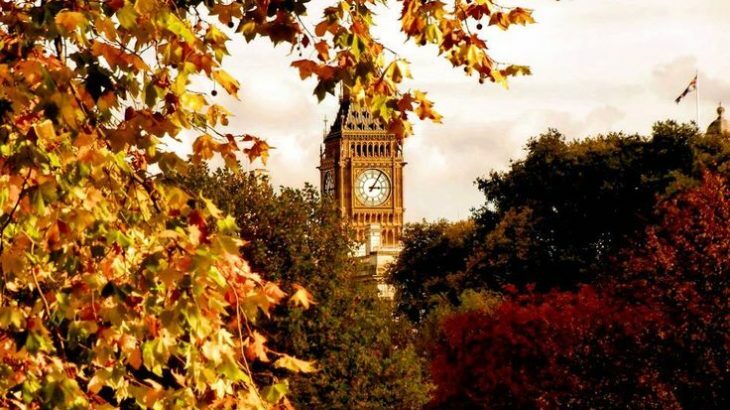 If you’re still not sure about visiting London in autumn, let us convince you; we think these reasons are compelling. Sure, a stroll through London’s Royal Parks is nice any time of year, but autumn is unique in that the leaves are changing. Come at the right time of year–when the leaves are in their full finery–and you’ll be treated to a dazzlingly-bright array of yellows, oranges, reds, and rusts that’s as much an art scene as any other painting you’ll find in our halls. Because the Royal Parks encompass multiple locations, some of which are exceptionally large, there’s plenty of room to wander. 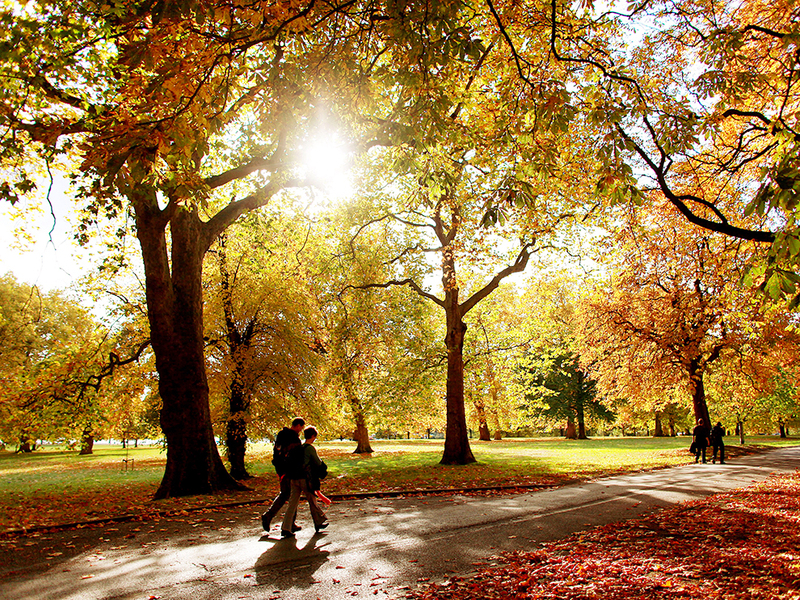 Sit and watch the leaves fall at Hyde Park, or take a coach or lorry to nearby Greenwich Park, just 11 kilometres away, to watch the deer nip at the last of summer’s plants and autumn apples. Nearby Kyoto Gardens makes a stunning stopover for photo opportunists, those getting married, or anyone who just appreciates Japanese gardens against a background of bright fall colours. Science lovers may want to visit on September 3 for “An Introduction to Bats and their Natural History” in The Regent’s Park. Led by conservationist Roger Havard, this event teaches attendees about the importance of protecting bats, and how crucial they are to London’s ecology. Finally, even sports lovers and the highly active will find that London is abuzz with fall activities they can take part in. 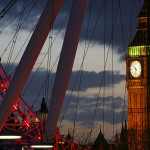 On September 18, the London Duathlon takes place. Starting on October 1 and carrying over through Halloween is the London Restaurant Festival. 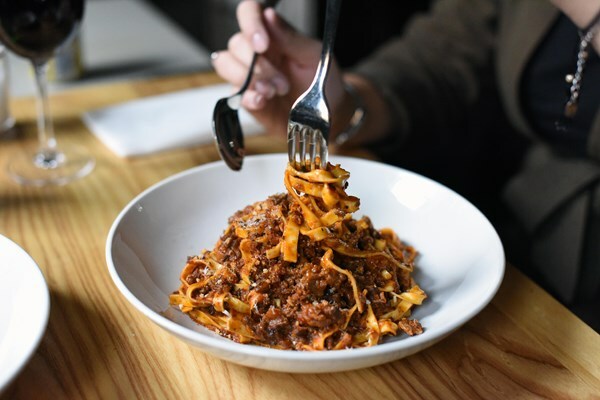 This incredible event is a foodie’s dream; restaurants compete for your business by offering steep discounts on fall and winter dishes all across the city. Many, many restaurants take part–you’ll find an extensive list of options here–and dishes range from fresh foods like sushi and salad to rich, decadent desserts like cheesecakes paired with oaky, woodsy merlot wine. Highly recommended is a stop at STK London, a swanky restaurant offering temptations like lamb, crab, and other gourmet grill options. On warmer days, head to Babylon at the Rooftop Garden for stunning views and delectably autumn-inspired options like White Onion and Aspall Organic Cyder Soup or Roasted Scallops. Because this event is so extensive, finding a place that’s participating is generally as easy as stopping in at the next one you see and asking what they have to offer. Chefs play with everything from colour to flavour, tempting your taste-buds to indulge again and again. As always, The Melita staff is here to help when you attend. If you have any questions about finding the perfect location for your tastes while you’re visiting with us during the festival, don’t hesitate to ask a staff member to help you locate the right restaurant. The London Restaurant Festival isn’t the only reason foodies flock to the area in late summer and autumn; this time of year is host to food festivals galore all throughout England. On August 27, the United Kingdom’s biggest celebration of food, is the Foodies Festival at Alexandra Palace. 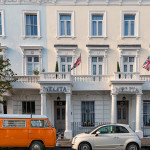 This takes place just 12 kilometres away from Pimlico street where our townhouse hotel is situated, and is easily accessible via coach or car. Then, on September 29, the London Oktoberfest festival at Millwall Park, Canary Wharf. This is a busy event with space for up to 3,300 people and protection from the elements. These are just examples; all told, depending on how far you’re willing to travel, a stay in autumn in London may warrant you access to everything from vegan food festivals to superfood workshops. Whether you’re a budding chef or just someone who loves a good meal, it’s a great time of year to be visiting. Halloween is a favourite holiday for many of our visitors from overseas and with good reason; it’s a time to be creative, playful, and even artistic, no matter your age. While England doesn’t traditionally celebrate Halloween in the same way as Canada or the United States, that doesn’t mean it isn’t celebrated at all. Visiting London around October 31 will provide you with access to some of our most interesting and creative Halloween-themed events. Many of London’s Halloween celebrations play out on the stage, such as with “Haunted at the Medieval Banquet.” This delightfully spooky play and performance takes place on October 28, 29, and 30. An immersive theatre show to be sure, this location encourages you to dress up for the event and become part of the scene. Dishes served are suitably spooky, and sometimes creepy, making them perfectly exciting to teens and older kids, too. 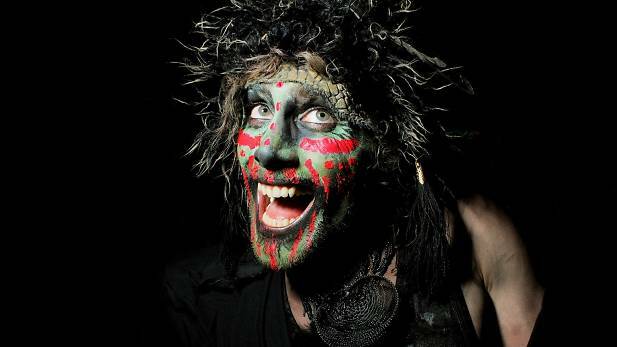 Those looking for a party can find that here in London, too; the annual Halloween Ball at the Mansion takes place each year on October 29, but the North West London location is kept secret until the very last moment. This is, at its heart, a club night where certain costumes are encouraged, but a dress code and rigorous security measures make this fairly upscale in comparison to other options. Tickets to the event can be booked online, with the final location revealed shortly beforehand. If curling up with a good book and a cup of cocoa on a cool day remains one of your favourite activities, consider visiting during the London Literature Festival. This event takes place from October 5 through October 16, and features many unique events and workshops for all who appreciate the art of writing. Hear from authors like Margaret Atwood on her new novel, Hag-Wood, or attend a panel to listen in on a discussion about the accomplishments of David Bowie. The London Literature Festival even has educational workshops for young adults, many of which are hosted by young adult authors themselves, making this an excellent time to visit with a teen who loves to read. 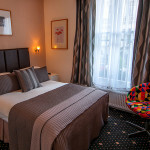 Authors who come in London in autumn will find The Melita’s Superior rooms make an excellent retreat; they’re cosy, comfortable, and set up well for writing. With our staff ready to take care of your needs, you’re free to attend events and enjoy your writing without stress. Events, Travel Autumn, Events, London. permalink.